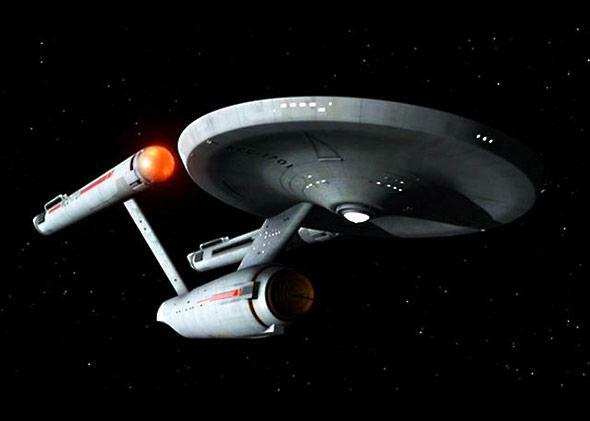 Can we build a Starship Enterprise with our current technology in the next 10 years? Can We Build a Starship Enterprise in the Next 10 Years? It’s going to be a while. No. Not only could we not build this in 10 years, but we couldn’t even build this in 10 years. Let’s ignore the technologies that might be impossible (e.g., warp drive, dilithium crystals, and transporters). Let’s ignore the technologies that we have no idea how to reproduce in a similar way (artificial gravity). Let’s just focus on trying to build a space-worthy scale replica of the USS Enterprise that uses existing structural and propulsion capabilities. The ISS is the largest, most complex international scientific project in history. For decades, studies were done that developed the ideas and technologies needed to build it. (For example, the steering law algorithm was written during Apollo.) The prime contractor, Boeing, was selected in 1993. The first module launched in 1998. Over the following decade, 16 countries invested their treasure (roughly $135 billion) to build the ISS. It took 26 space shuttle flights to deliver the U.S. segment modules. An additional Russian rocket launch was needed for each Russian module. More than 1,000 hours of extra-vehicular activity were needed for the assembly. It would take thousands of launches just to get the materials needed for the Enterprise into space. Now that the space shuttle is retired, there is no current capability on Earth to launch and deliver modules that are not self-sufficient. While the ISS assembly was essentially “snap-on,” with independent pressurized modules and unpressurized trusses attached with single ring interfaces, building the Enterprise would require real construction—welding and riveting—in space. It would take years to learn how to safely and effectively do that on such a scale. The structural design would take years to understand. The stresses and strains on the struts that connect the nacelles to the fuselage would be foreboding. Attitude control would require hundreds of thrusters and massive amounts of fuel. With our current technologies, it takes 38,400 square feet of solar array to provide the electrical power needed to support the crew of six and the scientific payloads. The USS Enterprise has a crew of about 430. How would we even begin to attempt to generate and provide the power that size crew and vehicle would need? Some might suggest nuclear reactors, like in submarines, but getting those into space would be both an engineering and political challenge. We would be talking about launching several hundred kilograms of radioactive material, and tons of shielding, into space. We’re a couple of centuries away from being able to even attempt such an endeavor as building an Enterprise. How close are we to a real Iron Man suit? If you’re in a helicopter and it starts to crash, how can you escape? What is the most startling discovery(s) made by the human race?